'Tis the season to think about the things that people do at Christmas - or at least some people in certain cultures. 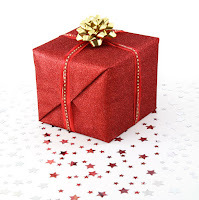 Let me take you on a whistlestop tour of some ideas from economics, anthropology and sociology that might cast some light on the practice of giving gifts that is so central to contemporary celebrations at this time of year. Is critical realism a modal realism? One of Roy Bhaskar's central ontological claims is that in addition to the actual - the things and events that occur in the material universe - our ontology must also recognise a domain of the real, which includes the actual, but extends beyond it. In his first book, A Realist Theory of Science, he argued that the non-actual includes real causal powers, a very strong argument that I explained towards the end of my last blog post. However, if we accept this argument this opens up rather a large question: what else could be real but not actual? This is a crucial question for materialist realists, because it provides a door through which non-material stuff could reappear in our ontology, and we only want to open that door rather carefully! This post suggests one way of thinking about what sorts of stuff should be admitted. In the first couple of substantive posts on this blog I pinned my colours firmly to a materialist perspective on the social sciences. But what does this 'materialism' actually mean? The word is used in many ways, and I should probably start by making clear some of the senses that I'm NOT invoking. First, I'm not arguing for materialism in the common everyday sense of "an overriding or primary concern with the production or acquisition of things or money" (as Raymond Williams put it in his indispensable Keywords). Nor am I invoking a Marxist "historical materialism" or "dialectical materialism" - Marxists are materialists, but materialists need not be Marxists. In my last post I criticised the view that all giving carries an obligation to reciprocate. I offered charitable giving, volunteering, bringing up our children, and the provision of free-to-access material on the Internet as counter-examples. That doesn't mean that giving is never reciprocal, but rather that there are multiple different kinds of giving, with different characteristics. In this post I want to say a little about different kinds of giving and illustrate the argument by looking at the case of Google search results. Google's offerings are also useful because they help to drive home the point that giving is very much part of the economy, even the commercial or capitalist economy. One consequence is that the market logic that suffuses mainstream economics is inadequate even for making sense of the commercial economy, let alone the forms of provisioning that take place outside it. For the last couple of years, I've been working on alternative ways of understanding the economy. Although that work has focused on the digital economy, many of the principles that emerge from it may also apply much more widely. One part of the argument I've been developing (in a book called Profit and Gift in the Digital Economy, due to appear in 2016), is that conventional ways of understanding the economy - including critical approaches - are deeply flawed, and we need an alternative approach: a political economy of practices. My last post picked out the materiality of human beings as a reason for seeing the social itself as based in the material. One of my original aims in studying social ontology was to work out how the social could depend on the material. That would help to give us a non-dualist way of seeing the world, with no mysterious split between the material and the social. I've called this blog 'Materially Social' because the phrase links together the original motivations for my research programme with some recent developments in it. Today I'm going to focus on the original motivations and where they've led me - I'll post about the recent developments later. Welcome to the 'Materially Social' blog. I'll be using this to share my academic work in progress - things like ideas under development, comments on papers I've read or presentations I've heard, thoughts prompted by my teaching and students, and responses to discussions in the literature and the blogosphere. I'll also do some brief summaries of pieces I'm publishing more formally elsewhere.